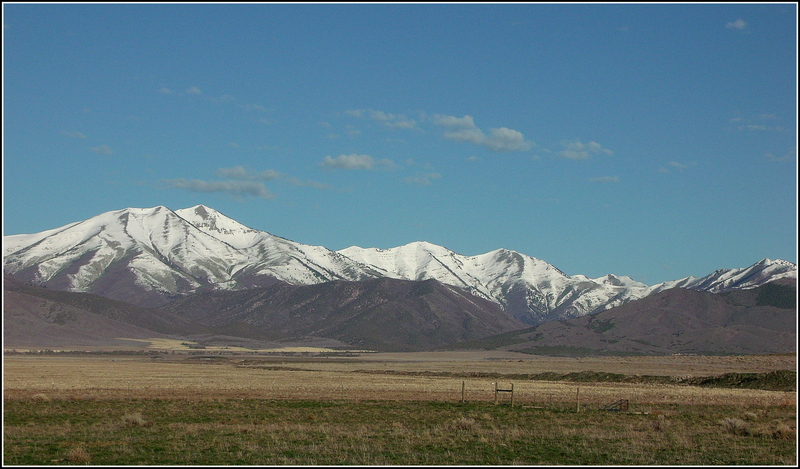 This is yet another photograph from last April when I spent the better part of two days exploring the countryside south and west of my home in the Salt Lake Valley of northern Utah, USA. 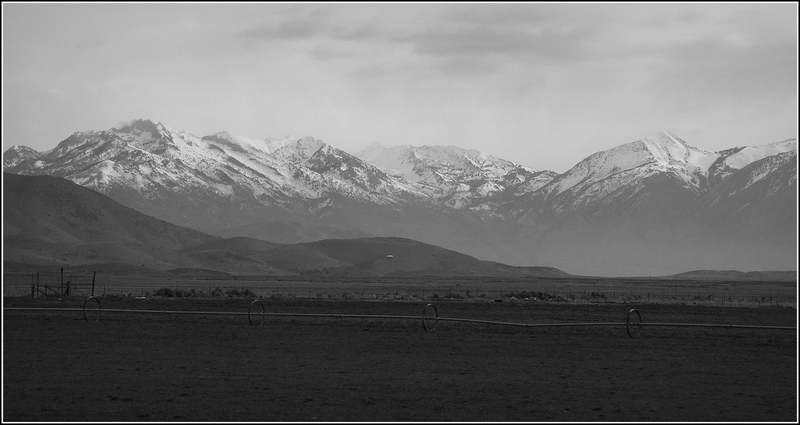 I made this photo while standing on the side of a road in Cedar Valley, facing the eastern horizon and the mountains of the Wasatch Range. 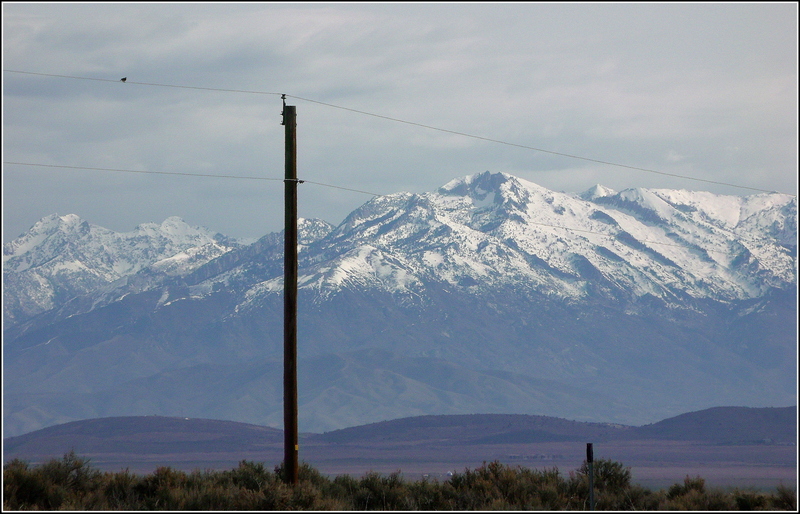 From looking at a map of the area, I want to say that the draw (the “V” area just above the fence-posts) is either Pole Canyon or Four Mile Canyon…but I’m not certain….. 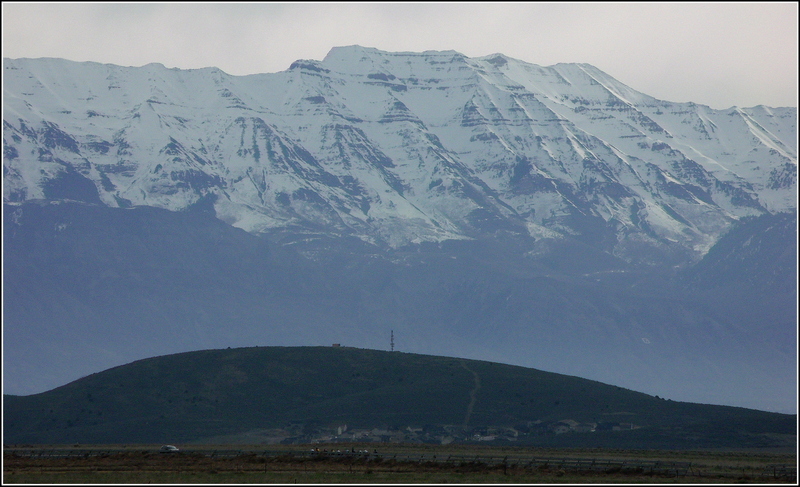 This was taken facing north from Cedar Fort Road…out in Utah County…a bit north of Eagle Mountain. 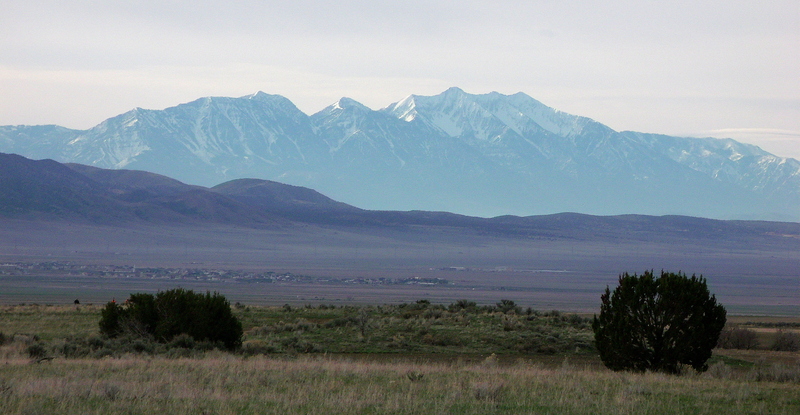 There are acres and acres of fields just north of the Cedar Fort road that leads into the Cedar Valley of Utah County and beyond. 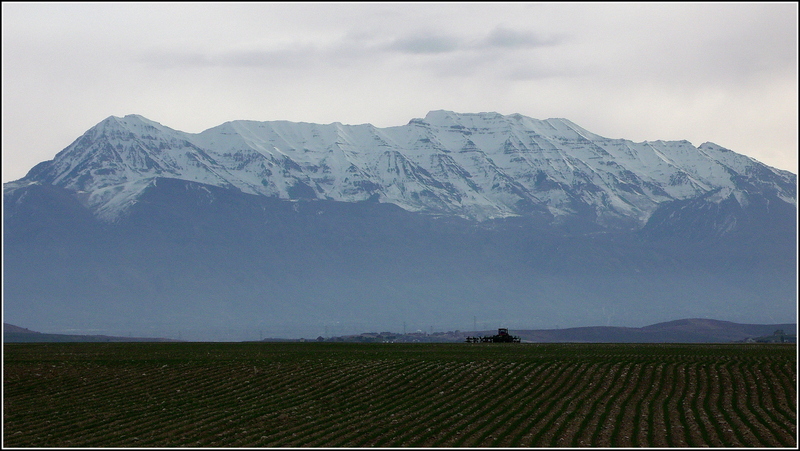 A week or so ago, I shared a photo, “farm and mountain panorama,” that had a tractor in a field beneath the snow-covered Oquirrh Mountains, the range that provides the western border for the Salt Lake Valley…and contributes to the north-western border of Cedar Valley. I returned to the area the following weekend and made some photos while facing the other direction…toward the Wasatch Mountains in general, and toward this mass of rock and earth, specifically, that is known as Mount Timpanogos…a very prominent feature of the eastern skyline for much of Utah County…which is located directly south of the Salt Lake Valley…and Salt Lake County proper. she sang and sang…and the quiet was sad without her…. When my family and I moved to Salt Lake City, Utah, a couple of years ago, a new dimension was added to our lives. My third son was introduced to and became near obsessed with road cycling…. 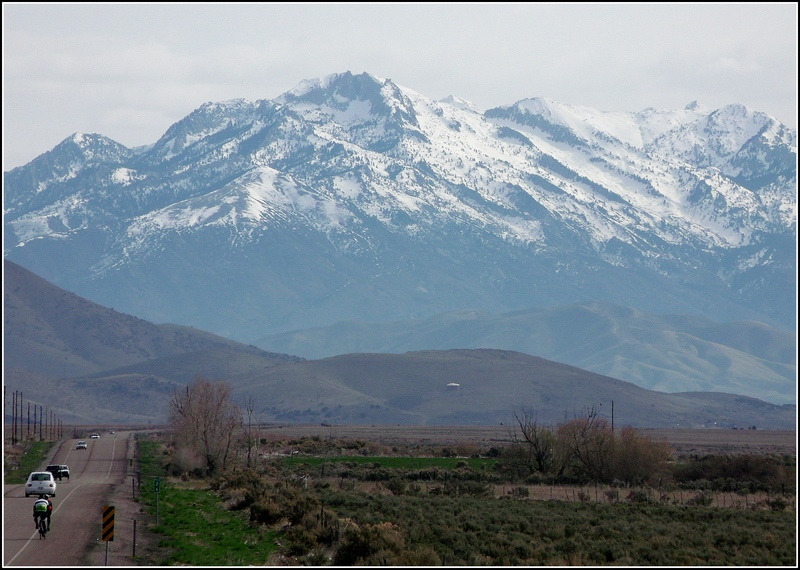 It became his thing, his activity, part of his daily life…riding hundreds of miles each week, up and down the hills and into the mountain canyons that surround the Salt Lake Valley. My son and his little family have since moved back to Arizona…and he has spent the last few months getting used to riding the desert roads and highways that criss-cross the greater Phoenix area, the Valley of the Sun…. 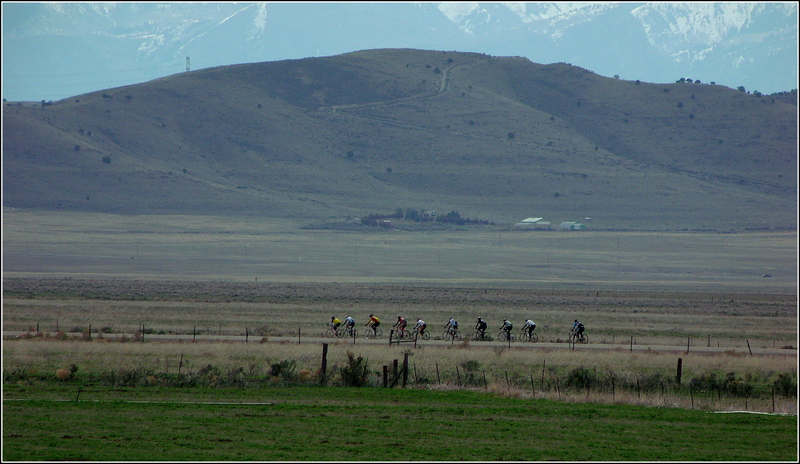 While I was never inconsiderate or discourteous to cyclists when I encountered them on the roadways wherever I have lived, I became even more aware of their very pronounced presence in the Salt Lake area…cyclists are absolutely everywhere around here…and my son was one of them. 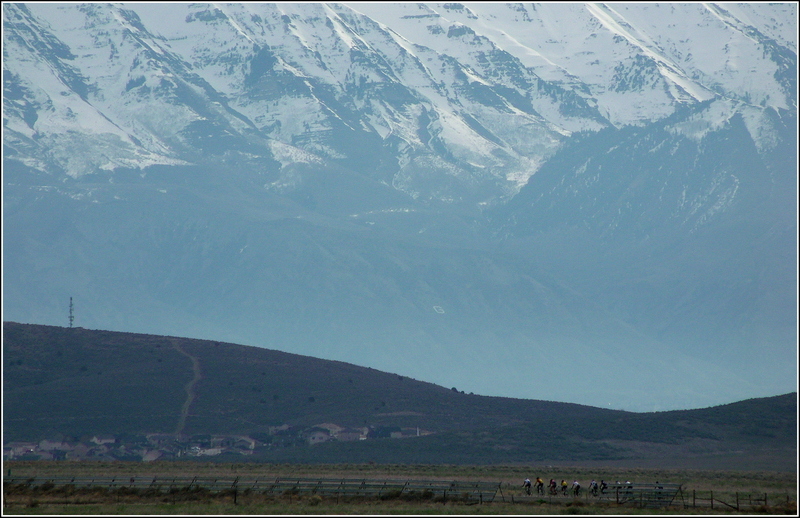 While he no longer lives here, I can’t help but think of my son when I see cyclists out on the road…can’t help but recall his recounting of rides that he took out into the countryside that surrounds the greater Salt Lake area…greening fields in the springtime with snow-covered mountains in the background…that solitary rider out there racing against himself and the wind and the angle of the roadway…that joy in his beating heart…riding…riding…..